We're in the midst of designing and printing invitations for Summer 2011 weddings. It is refreshing to ink up the presses in cheerful colors and think about bright flowers, lush trees and outdoor celebrations! One of our favorite details on an invitation is an unexpected pop of color painted on the edge of a card. 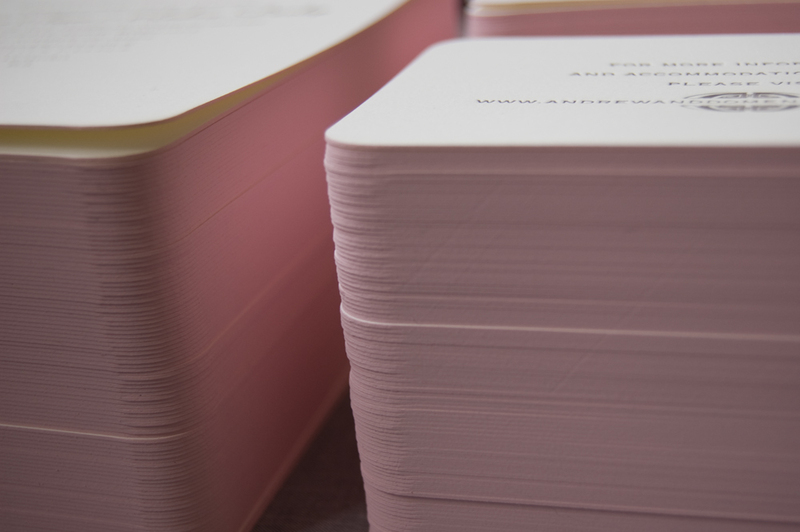 Here is a detail of a set of pink edged cards. It almost seems a shame to have to separate the stacks to send these out!